The OX-07 personal oxygen indicator and alarm is a lightweight instrument designed for uninterrupted monitoring of oxygen levels. 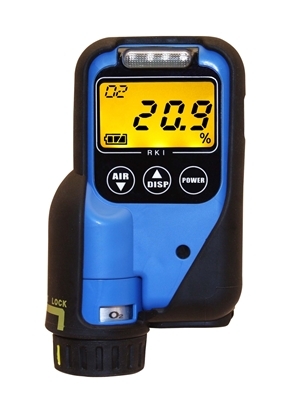 The OX-07 provides hands-free oxygen level and an alarm whenever oxygen level falls below a preset point. An alarm for low battery condition warns the user when power is low. The mounted oxygen sensor is easily detached for mounting on an optional extension cable to provide remote sampling in tanks or manholes prior to entering these or other potentially hazardous areas.